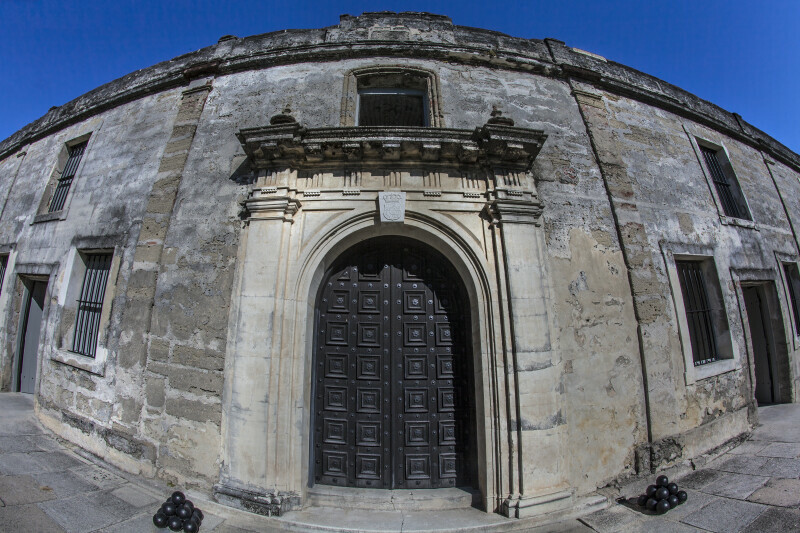 This picture shows the front of the chapel at Castillo de San Marcos. The chapel is directly north across the court of the fort's entrance. This was the fort's second chapel. The original chapel was across the courtyard, next to the sallyport.